Last May 6, 2011, We are glad to be part of the 1st mall show of Poreotics, SMART, with Official Partner TV5, presents, the POREOTICS MALL HOP happened at following SM Supermalls: May 6, 5pm at SM Megamall Event Center , May 7, 5pm at SM North EDSA Sky Dome, today at 5pm at SM Mall of Asia Music Hall.The crew was hailed champions at the America's Best Dance Crew Season 5 and just recently won as Team of the Year at the World of Dance awards! Watch the biggest dance crew in the Hollywood, live as they show you what hip hop is all about:POpping ,choREOgraphy and roboTICS, hence the name Po-reo-tics. 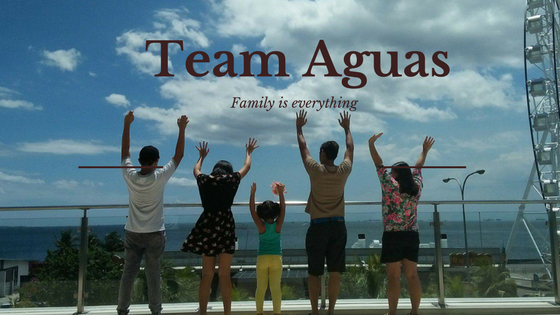 One of their wacky pose, they are really happy persons. 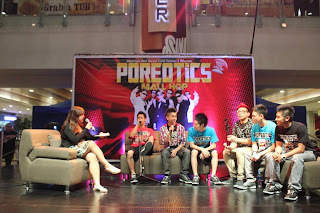 The "Poreotics" (original name) or "Poreotix" (MTV) Crew who recently crowned as MTV's Americas's Best Dance Crew Season 5 winners are not stopping there. These shaded showmen inspired by robots aim to entertain the dance world with their unexpected humor and revolutionary mixed style. Over the last couple of years, the Poreotics have laboriously honed their craft of popping and robotic movement and are at the pinnacle of their game. The way in which the crew blends the different dance styles gives them a distinctive animated look, and their integration of humor makes their performances fiercely entertaining. 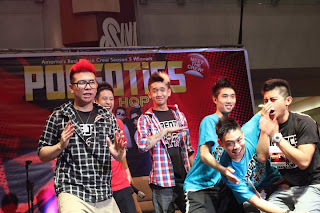 The Poreotics are true showmen and never perform without their trademark shades. They use them as a tool to hide emotion so they can provide unexpected twists in their routine , taking the audience from serious to funny without tipping their hand. They are nonetheless a force to be reckoned with in the dance and entertainment industry. Skies the limit for these 6 amazing and talented performers. 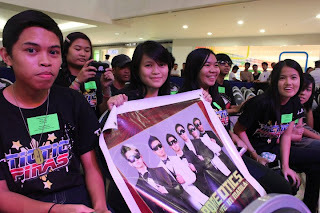 Some of their Fans that really screamed for their idol during the mall show. For ticket reservations to this most anticipated concert, JUSTIN BIEBER MY WORLD TOUR, presented by SMART, with Official TV Partner TV5, in cooperation with Music Management International and AEDI Productions on SM Mall of Asia Concert Grounds this May 10, you may contact SM Tickets at 470-2222 or visit www.smtickets.com. You may also check out TicketWorld at www.ticketworld.com.ph or call at 891-9999. You may also inquire at 09209-JUSTIN or 6644708 or email justinbiebertix@musicmgmt.com. Ticket prices as follows: VIP P8000 (reserved seating), GOLD A P5000 (reserved seating), GOLD B P5000 (free seating), SILVER P3500 (free seating), BRONZE P2000 (standing), GENERAL ADMISSION P750 (standing) plus applicable service charge.